Welcome to the internet site of Apartments Mladina. We hope that you will enjoy our site, and decide for Apartments Mladina as your destination for the summer holidays. 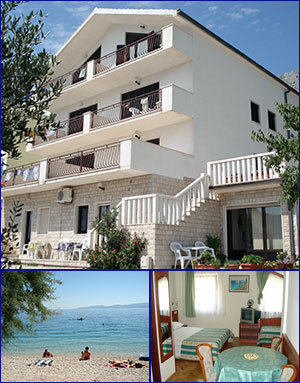 Apartments Mladina are situated in Lokva Rogoznica (Riviera of Omiš). Southern part of Lokva Rogoznica, Ivašnjak, is famous for its beautiful beaches, located closely to the Apartments Mladina, about 60 meters from the house. Also, all the facilities that make your stay comfortable are situated nearby, such as post office, restaurants, exchange office and small groceries shop. Apartments were finaly build and furnished in the year 1999. We can offer one 3-bed appartment, five 4-bed apartments and one 5-bed appartment. Location of the apartments guarantees peace and quiet needed for the total relaxation and comfort after a hard working year. 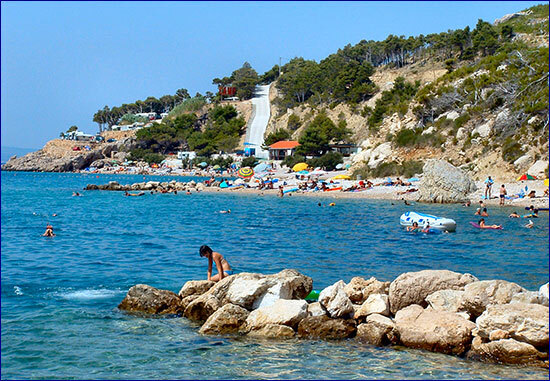 Lokva Rogoznica is situated in the middle of Dalmatia, half way between city of Split and Makarska. The position is ideal for taking one-day trips to all the famous destinations of Adriatic Coast (Dubrovnik, Imotski, islands of Brac and Hvar, Omiš, Split, Solin, Trogir, National Park Krka...) recommended by world's best known tourist guides and cultural institutions (National Geographic, Lonely Planet, UNESCO). We hope that Apartments Mladina shall be the choice for your summer holidays. We are looking forward to see you this summer!